In her inimitable style, Jancis Robinson dismisses the entire 2007 vintage for red Burgundy in two short sentences. I rather think a more nuanced approach is always required, even the roundly condemned 2004 vintage produced good pinots on the Cote de Beaune in sites with a more southerly exposition. Criticising the weather gives no useful insight into the character of the wines and therefore no recommendations on what to buy and from whom. Every wine amateur knows that careful grape selection is essential to quality! 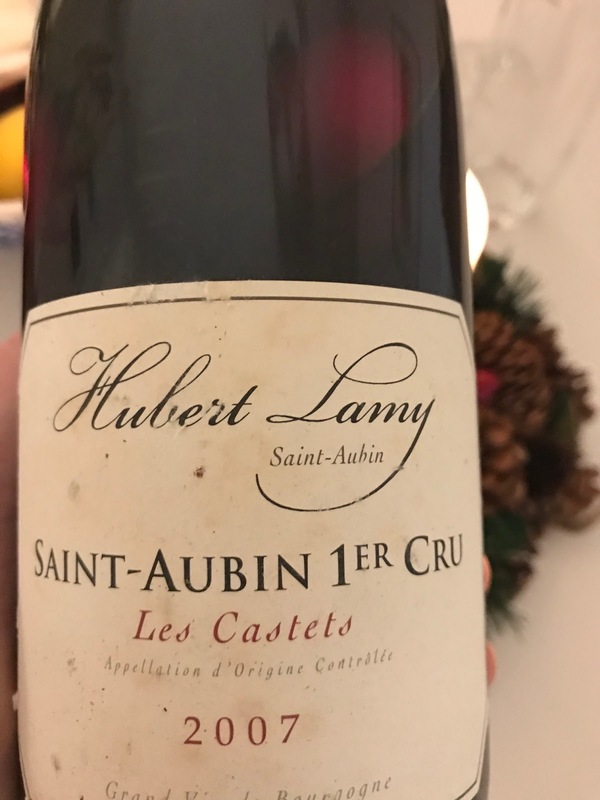 This 1er Cru Saint-Aubin from the ever reliable producer of both pinots and chardonnays, Olivier Lamy, has survived the test of time. A maturing medium red colour offers a nose of vanilla, stewed cassis, baked orange peel and raspberry compote. Lovely fresh berry acidity, cranberry, red cherry and bright orange flavour. Hint of cloves (or is this just seasonal bias?). Good limestone textured tannins. There is a good uplift at the end from the fresh 2007 vintage. Shows excellent triage on the sorting table given the damp summer. Excellent wine-making! Scores 76/100 without any potential to improve given the current maturity..